Click the button above to get a copy of BSC Designer PRO. 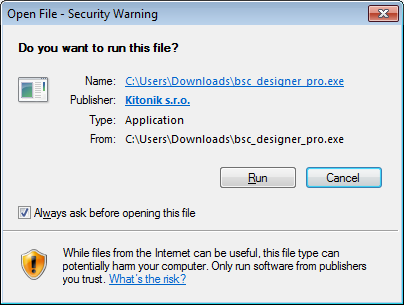 The downloaded file will be signed by a Kitonik s.r.o. publisher certificate, as on the screenshot above.